How can sensors determine machine health? At Sensors Expo 2016, EcoReco Scooter and ROHM Semiconductor experts explain a demo showing electric scooter applications that sensors provide rider detection and a motion-based theft alert alarm. For more information, click: RPR-0521 proximity/ambient light sensor (ALS) and KXG03 6-axis accelerometer/gyro. At Sensors Expo 2013, Zach Whitman, a systems engineer from ROHM Semiconductor, explains the optical image stabilization technique to eliminate X and Y-axis shaking from a handheld digital still camera using the company’s technologies for optical stabilization. To watch the video, click here. For more information about ROHM Semiconductor optical stabilization technologies, click here. 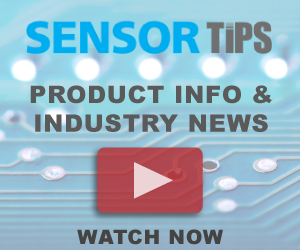 At Sensors Expo 2013, Ruben Balbuena, senior technical product marketing manager from ROHM Semiconductor, explains the company’s relationship with EnOcean and shows how wireless remote control can be implemented. To watch the video, click here. For more information about ROHM and the EnOcean Alliance, click here.